If you find yourself near any of these The Range stores this weekend then pop in and see our crafty demonstrators showcasing our wonderful new Trimcraft collections from First Edition, Dovecraft and Belle & Boo. 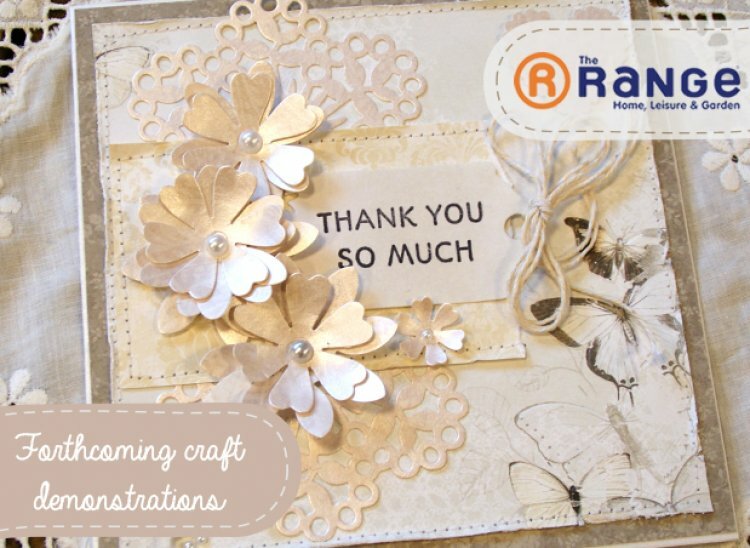 Our friendly crafy demonstrations are here to help give you craft advice and inspiration you may need. Next weekend, there will be more free craft demonstrations at the following The Range stores: Barnsley, Colchester , Coventry, Barrow, Dumfries, Swindon and Weston Super Mare.